Hardware consolidation is the backbone of an organization. 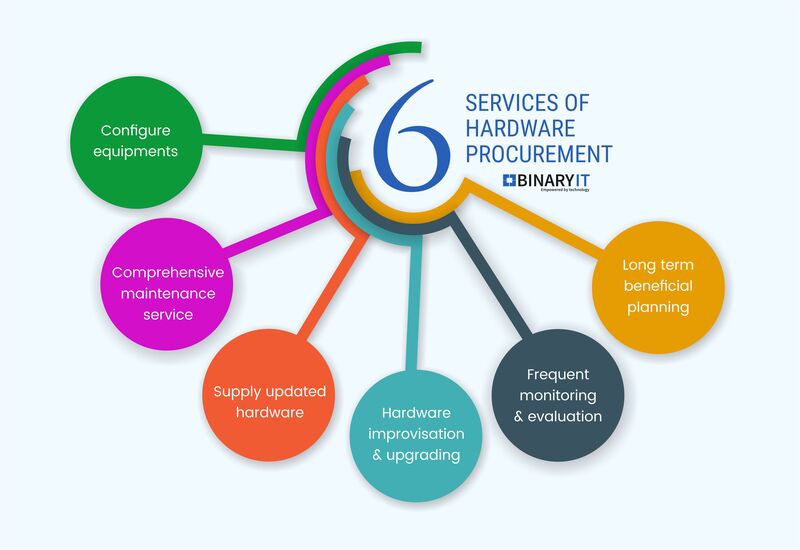 Hardware Procurement services leads to complete technological restructuring, therefore, from over expenditure to under-expenditure, it’s necessary to analyze the entities requirement before making any kind of investment on a hardware. Tokyo IT is at your rescue to assist you in technology procurement making you empower on your corporate operations. We have major relationship with major IT suppliers and top IT brands. Our team frequently remain in touch with those suppliers to reap in and learn about new hardware. We carry a comprehensive diagnostic tool meeting the perspective of next generation IT for both large and small-scale consumer. We root out the issues of hardware utilities and integrate advance hardware in the corporate system. Supply advanced and up to date hardware, leading the organization to next-generation IT. Assist in configuring all the equipment. 24/7/365 days after sale services. Eliminate order mistake and enhance manageability with a coordinated effort.